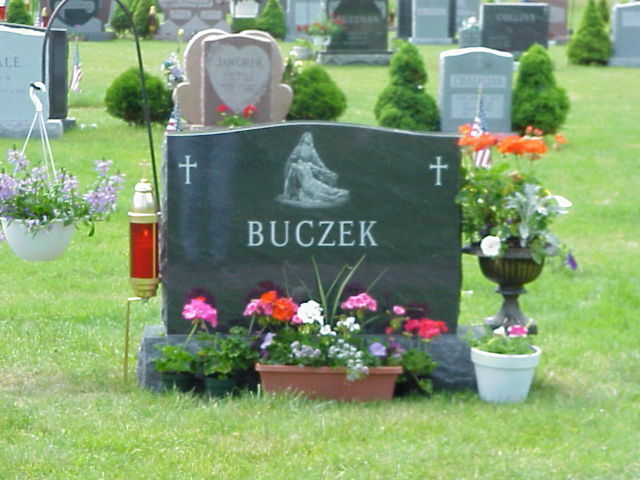 Front of my best man's grave stone. 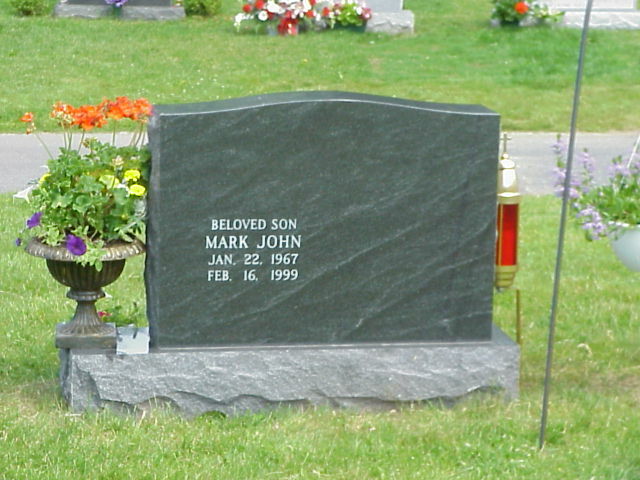 Back of Mark's grave stone. 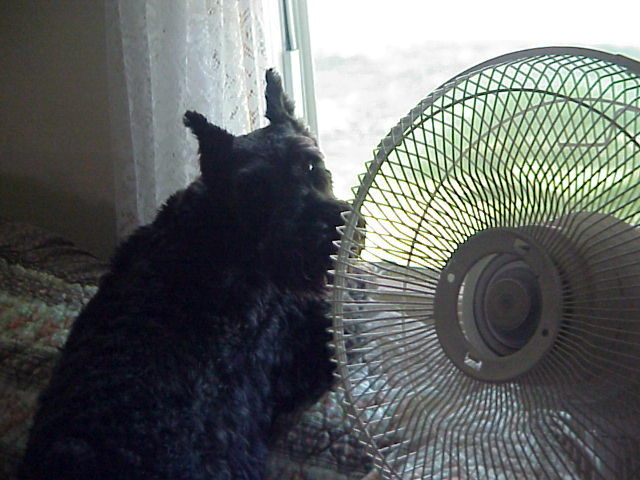 Tom's mom's dog Fritz II. 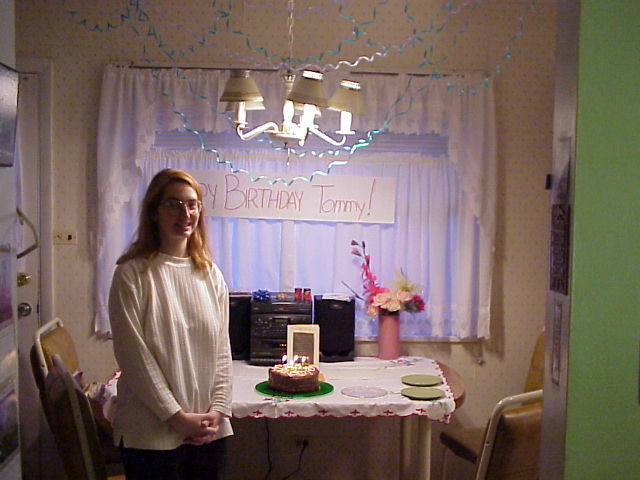 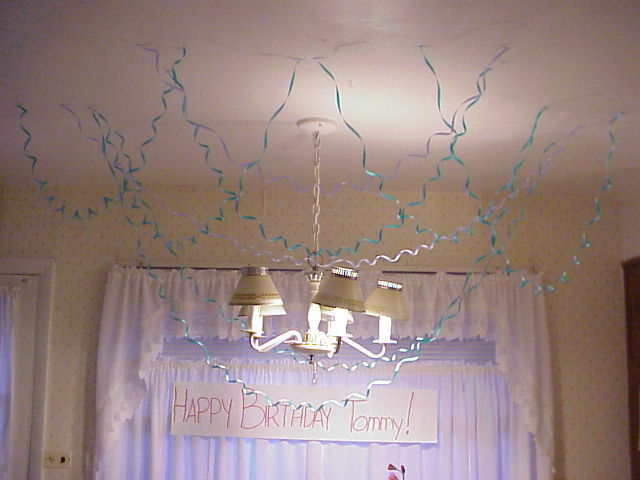 Close-up of the streamers Eileen put up. 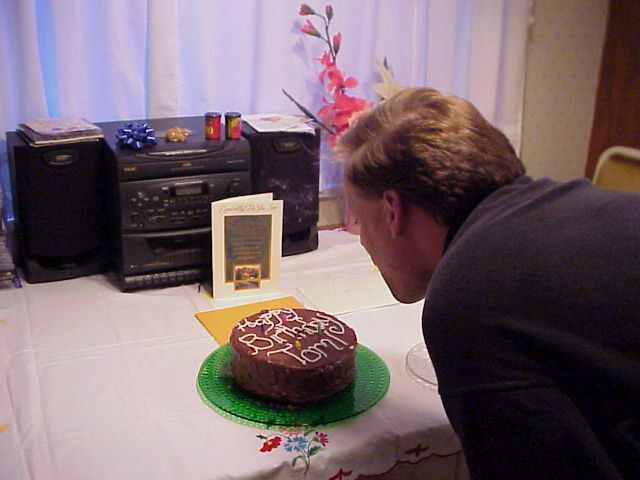 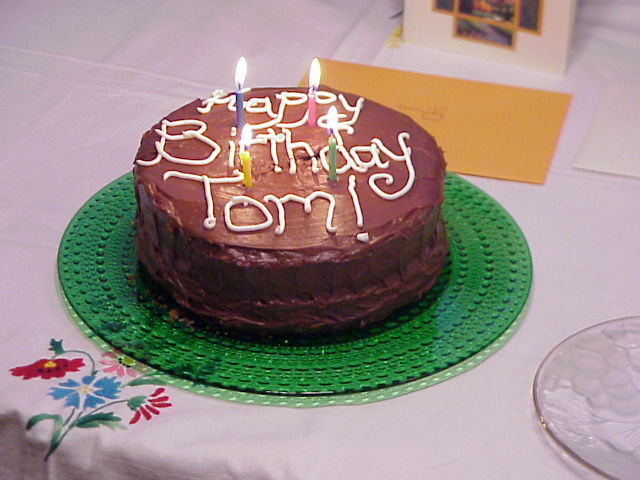 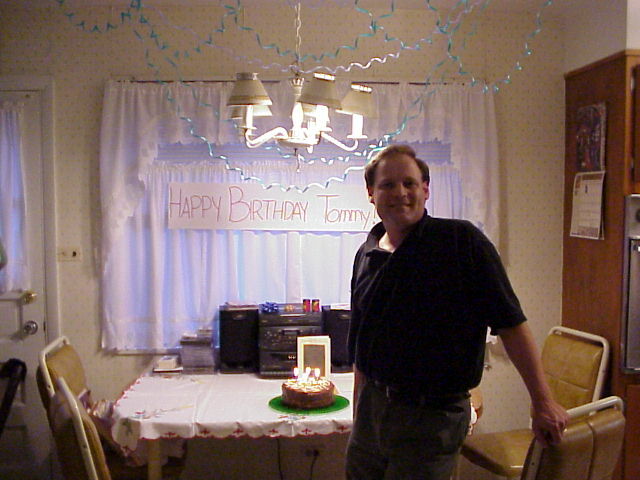 Can Tom blow out all the candles? 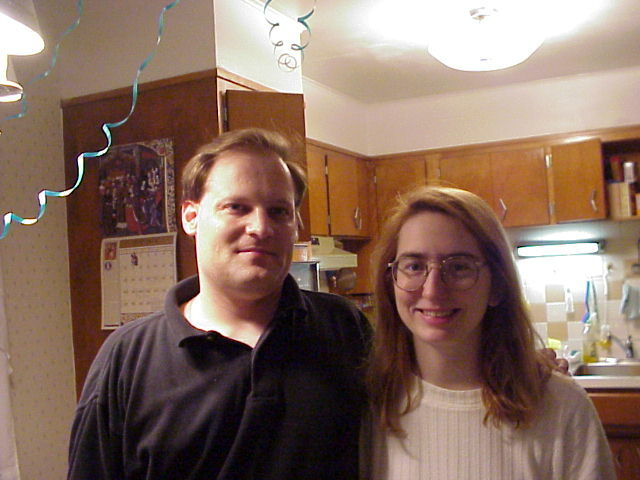 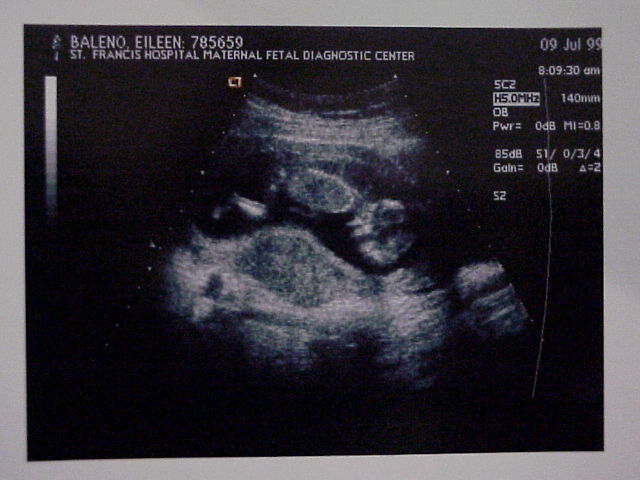 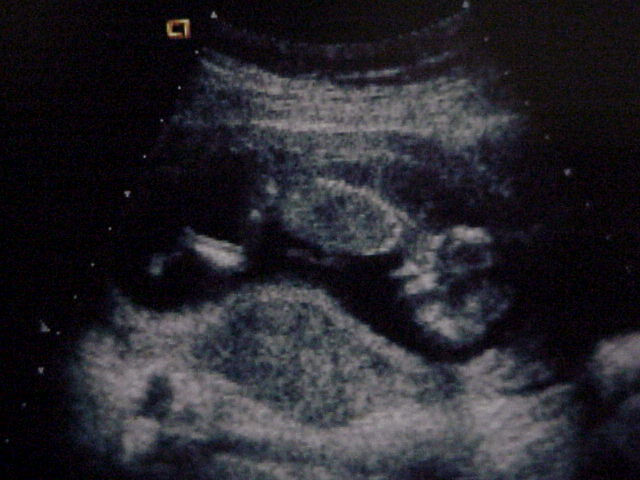 The first picture of the baby.